This past weekend Cheetah Learning went to Portland, Oregon to support our fellow Cheetah’s- and we’re not talking about the fast paced career savvy folks that take our Cheetah Learning courses and move on to conquer the word. We’re talking about another type of Cheetah, the kind that runs at speeds of 70 mph, the most specialized member of the cat family, and the kind that are now endangered due to a population decline of at least 30% in the past 18 years. What is being done to reverse population decline? Teaching farmers how to avoid conflict by monitoring breeding schedules. Teaching farmers to use dogs to protect livestock rather than guns. How can you help? 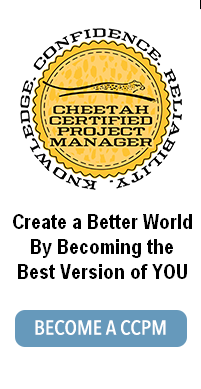 Visit the Cheetah Conservation Fund site to see how you can help. 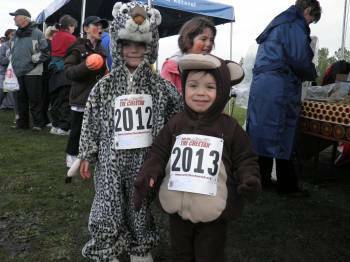 In an effort to help reverse the cheetah population decline, Cheetah Learning sponsored the Portland Run for the Cheetah, and will be sponsoring the Chicago (April 11th) and the Phoenix (April 25th) Run for the Cheetah events. Our experience at the Portland Cheetah Run was very exciting. We arrived at the run at 6am sharp to a pitch-black field and a downpour of rain. 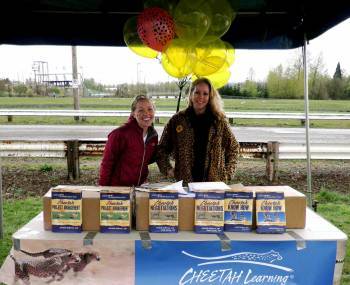 We found our very cheery Cheetah Run host’s in rain jackets and sipping warm java, and ready to help us set up our booth. 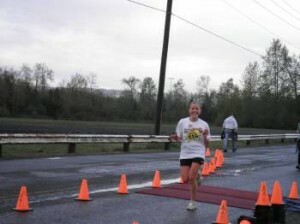 I ran in the 8k run, which helped to warm me up and get me energized on that chilly morning. The run took us by a river, and twice around the Portland International Raceway, and brought us back along the river to a finish line full of cheering cheetah supporters. As the morning went on, the clouds became less ominous and there was soon just a small drizzle. We couldn’t have asked for a better crowd there, from enthused Cheetah activist to little tykes in cheetah jump suites, the mood was cheerful and upbeat throughout the morning. We look forward to the next event – Chicago here we come! This entry was posted on Thursday, April 1st, 2010 at 11:27 am	and is filed under PM for the "20-Something" Crowd. You can follow any responses to this entry through the RSS 2.0 feed. Both comments and pings are currently closed.